Today's outfit is very much a signature weekend look of mine. 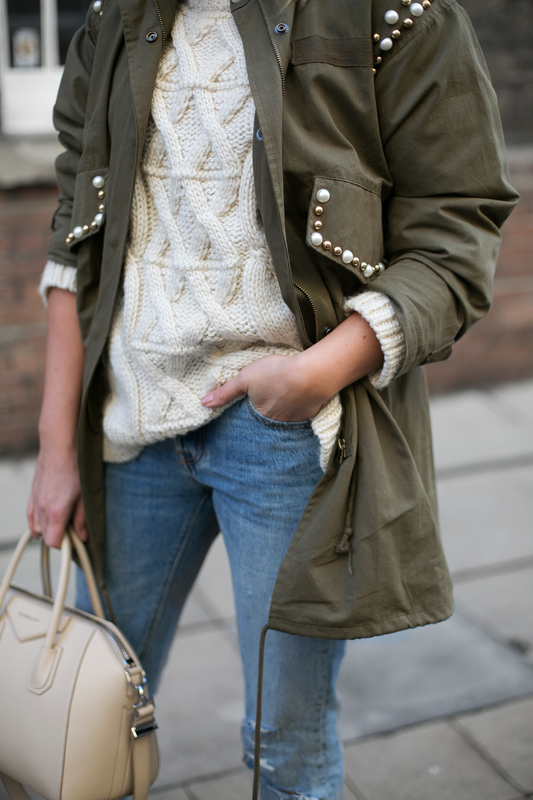 I love khaki and khaki jackets are something that I buy year after year and when I saw this embellished parka from Chicwish I knew it had to be an addition to my collection. 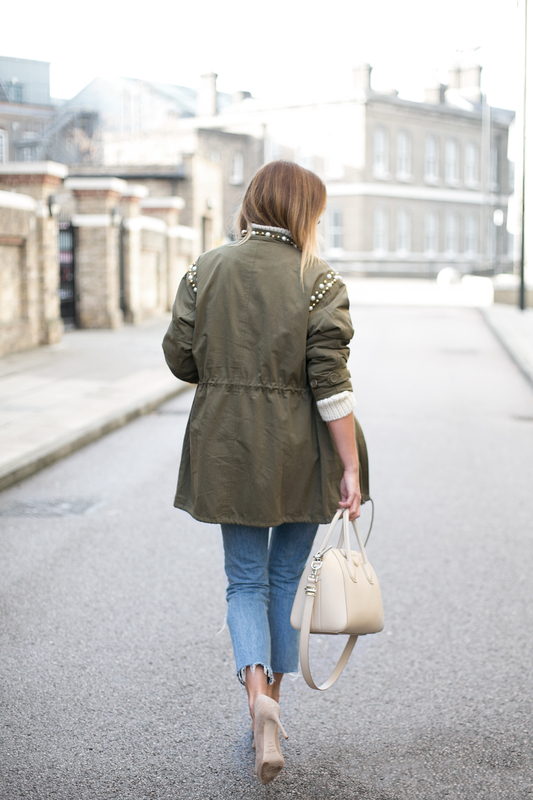 Embellishment isn't normally a style feature that I go for, I don't like a lot of fuss, ie. I hate sequins and gemstones on my clothes, but that said the gold studs and pearl detail on this number is subtle enough for me and as always I've dressed it down with a chunky knit and my fave ripped jeans. 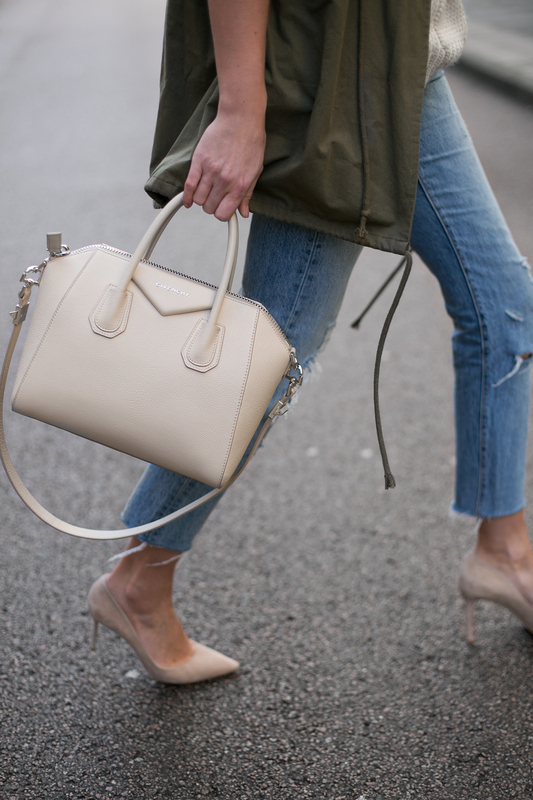 Of course I'm a lover of heels but you could just as easily pair with some sneakers or ankle boots to suit your own style. Side note: HOW is it only a week until Christmas? !